Reciba el Info sobre specials y más. En Espanol… Grandiosas Vacaciones en Big Bear Lake California Indician Aqui. Cabanas historicos de madera cerca del lago. Todas con chiminea, barbacoa, cable, TV, VCR/DVD y cocinas. Todos con Internet, muchos banos con Jacuzzi. Otros cabanas con mesa de billar y mucho mas. 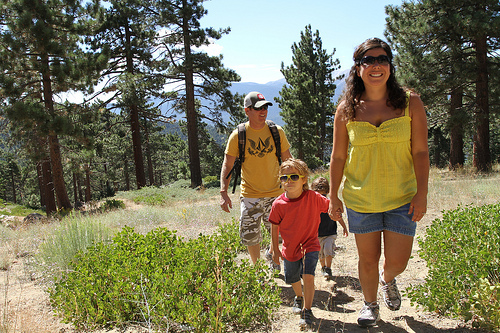 Proveemos servicio de limpieza gratis, toallas y ropa de cama gratis para los cabins de Golden Bear Cottages. 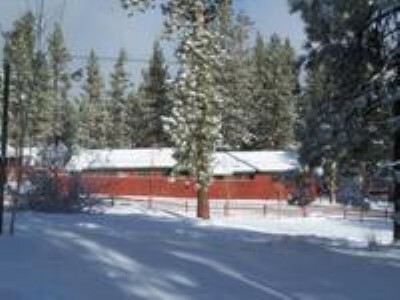 Busca las mejores ofertas y descuentos en cabañas o casas de campo en Big Bear? 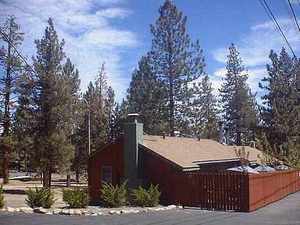 Sí, tenemos todos los tamaños de cabina de los alquileres de vacaciones en un bello complejo histórico de la AAA aprobó rústico de montaña, con una piscina y un spa..
Max Occupancy: 14 Big 4 Bedroom lakeside cabin is on the Lake side of the property, only a short walk to the lake and marina but closer to the road so it has lots of parking. Completely remodeled, with restored historic wood beams. 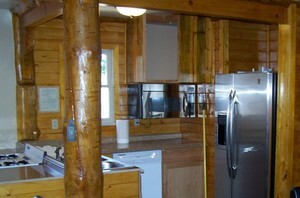 Our 4 bedroom pet friendly group cabin was completed last year and now has "Tempur-Pedic" queen beds and pillows. Call today or reserve your group's dates online. *Two "Tempur-Pedic" Queen Beds in bedroom one, King Beds in bedroom two and three, Two "Tempur-Pedic" Beds in bedroom four. 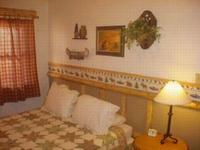 All bedrooms with private exterior access. Also 2 Queen Futons in living room. 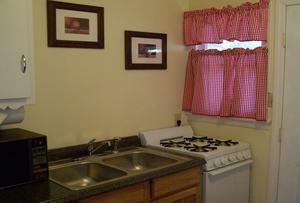 *3 Baths, one with full tub and shower, two with shower and dressing areas. 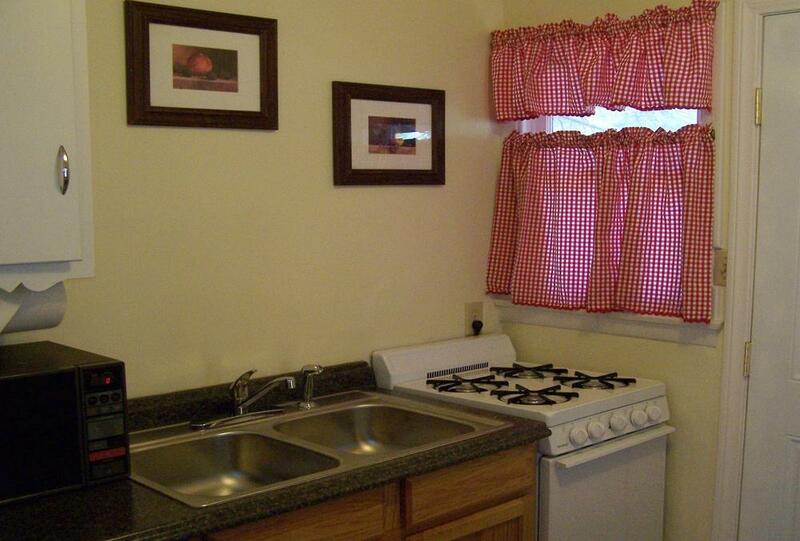 *Large Full Kitchen with dishwasher and disposal. 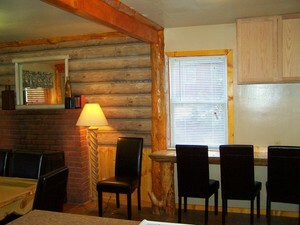 *Separate kitchen bar with outdoor patio access. 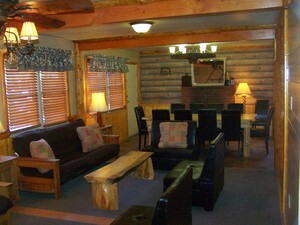 *Big group Living room with flat screen TV. 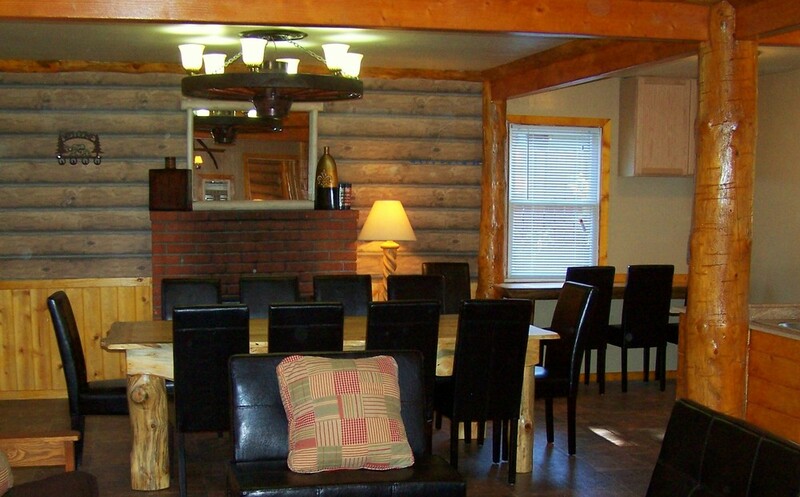 *Big group Dining area with custom log table for up to 14 people. 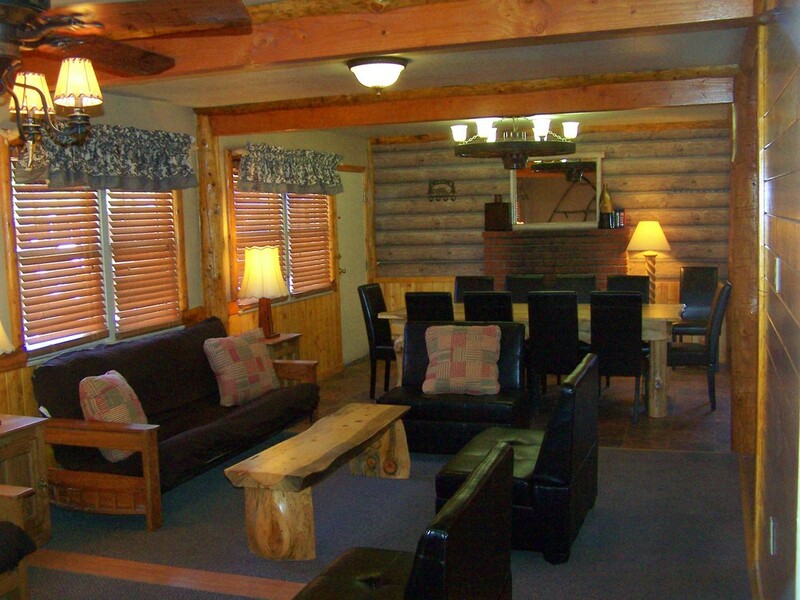 *Big cabin sleeps up to 14 person family or group. 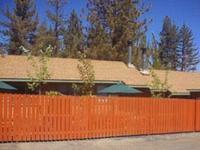 *Fenced Patio with BBQ's and Pet yard. Recreation: Volleyball court and horseshoe pit and game room Coming in 2018. 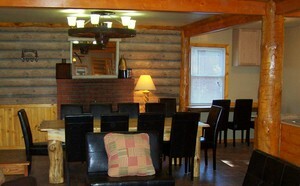 *Big Pet Friendly cottage. If you plan on bringing your pet, make sure you are choosing a pet cabin where pets are welcome. This specially Designated Pet Friendly cabin at Golden Bear Cottages has a two big fully fenced pet yard/patios. 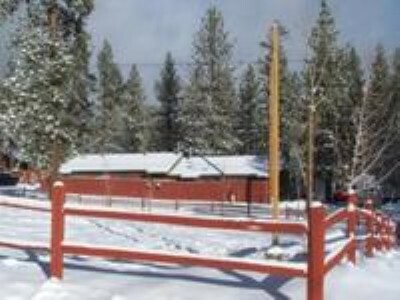 Use the... Property Map...button on our Home Page for exact locations of big group Cabin 13 and each cabin on our resort property. Use the... Photos button at the top of this page for individual pictures of each cabin.